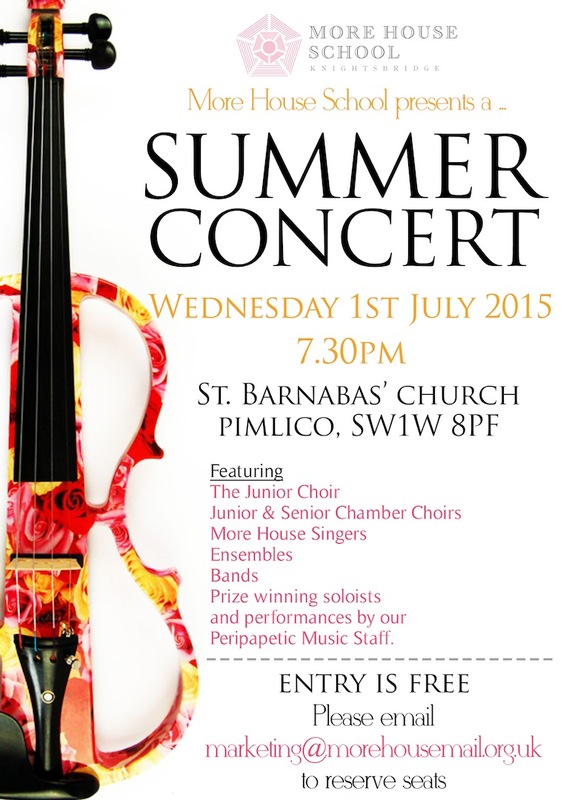 Please join us for our Summer Concert at St. Barnabas’ Church, SW1W 8PF on Wednesday 1st July 2015. The concert will feature the school choirs (Junior Choir, Chamber Choirs and More House Singers), ensembles and prize-winning soloists. There will also be performances by our peripatetic staff and the school band – definitely not to be missed!